Welcome to 16th Regiment Of Foot Media Thread! be awarded soon. Below you will find an explanation on both our companies. Thanks for passing by our post and reading about us. 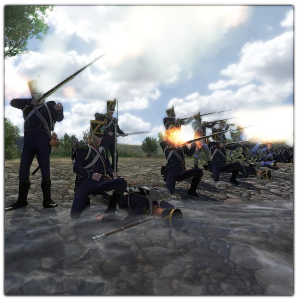 The Line infantry is the main company of the regiment. company insists a lot in formations aswell as melee training. The Light Infantry is a sub company of the regiment. infantry is a perfect company to hang back and shoot in. 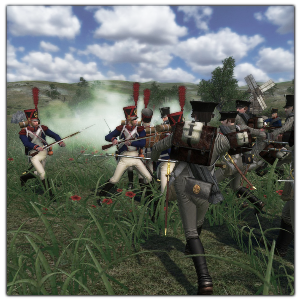 shooting and skirmisher tactics sessions. Our Steam Group - Click! Our FSE thread - Click! Glad to see someone bothered to upload a decent quality video Resolution wise. Damn brother, so long a ago, hahaha awesome vid ! It's busy uploading now. Just the sound is delayed by a half second or full second. Just changing back to my previous settings. I was experimenting with something. Videos in the future should be good. You know it lets say there is a good presentation of what im capable of !